Toots is one of the true architects of reggae, so much so that “Do the Reggay,” a 1968 single by Toots and his group, the Maytals, is credited with giving the genre its name. Classic songs, written and recorded by Toots and the Maytals, have been covered by the likes of the Clash and the Specials, and the group was featured in reggae’s greatest breakthrough event, The Harder They Come, the 1972 film that became an international sensation. 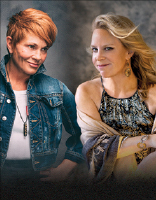 The all-star guests on the 2004 album TRUE LOVE range from legends like Keith Richards, Eric Clapton and Bonnie Raitt to younger stars including No Doubt, the Roots and Phish’s Trey Anastasio. The caliber of these collaborators reveals the impact that Toots has had on several generations of rockers and rappers, while appearances from reggae icons Bunny Wailer and Marcia Griffiths show the respect granted to the man who might be the music’s greatest living vocalist. At the heart of it all is that voice drenched in soul, rooted in gospel, and still breathtakingly powerful after almost four decades in the spotlight. Celebrated pianist George Winston embarks on a U.S. tour to celebrate the May 3, 2019 release of his 15th solo piano album, Restless Wind, via Dancing Cat Records/RCA Records. The album is now available for pre-order at GeorgeWinston.com. George Winston is undeniably a household name. He has inspired fans and musicians alike with his singular solo acoustic piano songs for more than 40 years while selling 15 million albums. A tireless road warrior playing nearly 100 concerts annually, live performance for Winston is akin to breathing. Winston’s music is evocative, offering us all a chance to take a step back from our perpetually busy lives and let our minds adventurously wander. Restless Wind is a portrayal of Winston’s place in a chaotic world — his compositions extend solace with an idiosyncratic grace. George Winston’s classic albums, Autumn and December, are perennial favorites, along with Winter into Spring, Summer, 2017’s Spring Carousel — A Cancer Research Benefit, as well as two volumes of the compositions of Vince Guaraldi, two volumes of benefit albums for the Gulf Coast disasters, and six other solo piano albums. 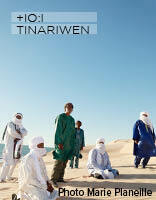 The powerful melodies of Tinariwen have become the soundtrack for a whole generation of exiled Touareg youth living in Algeria and Libya. Their latest album, Elwan, represents a powerful meeting of two disparate generations and celebrates the capacity of music to make beautiful art out of experiences as intense and cruel as exile. These extraordinary guitar-poets from the southern Sahara desert blend blues, rock and pop with Berber and Arabic influences to create an altogether hypnotic concert experience. WATCH: Tinariwen performs "Sastanàqqàm" from the album Elwan (2017).